Are you travelling to Namibia soon? 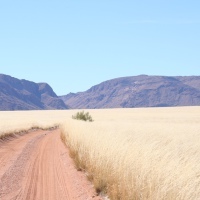 Namibia is considered an ideal destination for self drive tours and offers great road tripping opportunities. If you’ve never been before, you may be feeling a little nervous about what to expect. Namibia is still Africa but it’s considered the ideal destination for first time visitors to Africa. It’s a classic desert and safari destination that is widely known for its beauty and is a lot safer than other African destinations. Of course, depending on the purpose of your trip, you will have different things to experience and your activities will look different if you are a bunch of single guys or if you are on a family trip. There are however, some universal do’s and don’ts which are good to follow to ensure a safe and enjoyable trip to one of Africa’s most breath-taking destinations. Below you’ll find some useful travel information on Namibia. Do plan your trip carefully. Remember that at least 80% of the roads are gravel (well maintained) and that distances are vast! You will be required to travel at a slower speed and this means it will take you longer to reach your destination. Don’t plan your next nights’ accommodation too far away otherwise you will end up spending far too much time in your car driving just to get there. Know where it is you want to go and what you want to do there. Give yourself plenty of time to get to where you need to be and make any accommodation bookings you need to make in advance especially in peak season (July –November). Do make sure the car you are using is able to navigate the roads you plan on using. If you are going to be using any secondary/gravel roads, it is probably best to use a 4×4. If you don’t have one, you can hire one. Certain areas such as the national parks in the Zambezi region (Caprivi) require a 4×4. If you are hiring a car speak to your car rental company and tell them where you are planning to go – they will advise you accordingly. The north western region (Kunene) requires a vehicle with high ground clearance. If hiring a car make sure it has air con. Do fill up the car with fuel whenever you get the chance and make sure you have enough cash on you to cover your fuel expenses in the event there are no card machines available. Even if you think you still have plenty of fuel left fill up anyway. Do bring a decent map of Namibia along. GPS devices are great things but not always updated and accurate. Even cell phones can’t always help you in areas where there is no signal (and there are lots of areas in Namibia that don’t get signal). Do use sun protection – the sun is intense! Just because you are in the car, it doesn’t mean you can’t get burnt. Pack in a good SPF cream and a pair of sunglasses so you can reduce glare on the windscreen. Do keep bottled water in the car with you to make sure you stay hydrated on long stretches of road. Always ensure that you have more than enough drinking water with you. If camping then pack even more water so that you have sufficient water to wash your dishes, etc. Do keep snacks available, especially for the driver. It’s imperative to stay alert while driving and keep on the lookout for stray animals on the road. Do make sure you pack some warm clothing. Despite an average of 330 days of sunshine a year it can get very cold – freezing in fact (June – September) particularly in the desert at night. Do make sure you have a good camera, with reliable batteries and a charger. This will be invaluable as there are amazing photo opportunities. If your phone has a camera, that’s great. But be sure to keep your phone charged, as there are often long stretches of road to get through before your next stop. Bring the correct type of charger. Your adapter for small electrical appliances or chargers requires a conversion plug to a three-pin type outlet which is found in Namibia. The best type of adapter to bring to Namibia is a power adapter. This enables devices from all over the world to be plugged in safely and get charged. Don’t use an unreliable vehicle to save money. If you are unsure about your vehicle in any way, hire a vehicle to make your trip safely. Breaking down in the middle of nowhere with hot days and cold nights is no joke! If you can hire a SUV (commonly known as a bakkie in Namibia). Don’t try to drive faster than your car can handle. Chances are if you do, you will blow a tyre, ruin the car or get in an accident. There are also often people or animals crossing the roads so it’s imperative that you keep an eye out for this. Penalties for speeding are also extremely severe. At least 80% of Namibia’s roads are gravel so it is essential to drive cautiously and within the specified speed limits. Most accidents occurring on gravel roads are due to excessive speed. Keep within the speed limits on gravel roads at all times. If you pass through farmlands, and you open gate, don’t leave them open – close them behind you. If you don’t, livestock will escape. The farmer will be very angry with you and it may end up costing you a lot of money. Don’t drive at night! Many animals are active at night and cross roads which is when accidents happen. Also cattle can wander and are not visible at night. Don’t leave your valuables lying around – this is the same as anywhere, no need to tempt fate here. Don’t walk through townships at night unless accompanied by a guide. Don’t miss out on the best sites – make sure to visit Etosha National Park, Sossusvlei, Kolmanskop, Swakopmund and the Fish River Canyon. While it may not be possible to visit all of them, if you can fit one or two of these into your schedule, it will be well worth it. Never try and get too close to animals/wildlife. Always maintain a safe distance.